MOSCOW, December 19. /TASS/. The Okhotnik (Hunter) heavy strike drone being developed by the Sukhoi Aircraft Company will make its debut flight in the spring of 2019, Russian Deputy Defense Minister Alexei Krivoruchko said in an interview with the Zvezda TV Channel on Wednesday. "Next year, the Okhotnik will enter trials. The work on this project is a priority and it is proceeding at a good level. In the spring, we are expecting the first flight of this drone. This is a serious task for us," the defense official said. According to open sources, the Okhotnik features stealth technology and the flying wing design (it lacks the tail) and has a take-off weight of 20 tonnes. According to unconfirmed information, the drone has a jet engine and is capable of developing a speed of around 1,000 km/h. Russia’s Defense Minister Sergei Shoigu earlier said that medium-range reconnaissance/strike drones would start arriving for the troops in 2019. Russia is developing several types of attack drones. 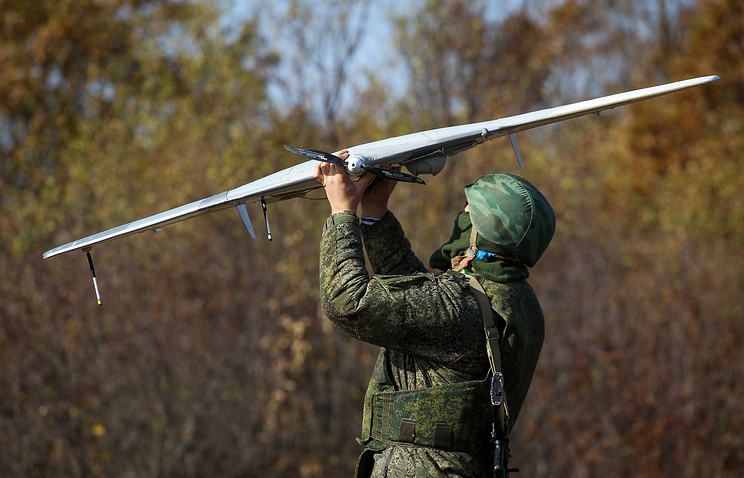 These are the strike version of the Forpost medium reconnaissance drone, the Orion medium-altitude long-endurance UAV, the Altair reconnaissance and strike drone with a weight of up to 5 tonnes, the sixth-generation Okhotnik (Hunter) heavy strike drone and the Karnivora small strike/interceptor drone.